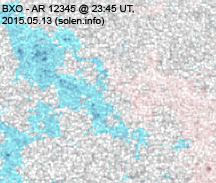 The geomagnetic field was active to major storm on May 13 under the influence of effects from CH667 and an associated co-rotating interaction region. 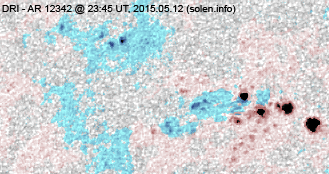 Solar wind speed at SOHO ranged between 586 and 772 km/s. 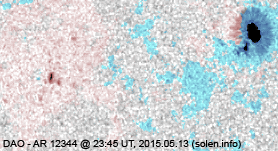 Solar flux at 20h UTC on 2.8 GHz was 157.0 (increasing 6.8 over the last solar rotation). 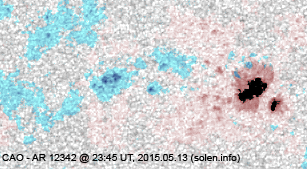 The 90 day 10.7 flux at 1 AU was 127.0. 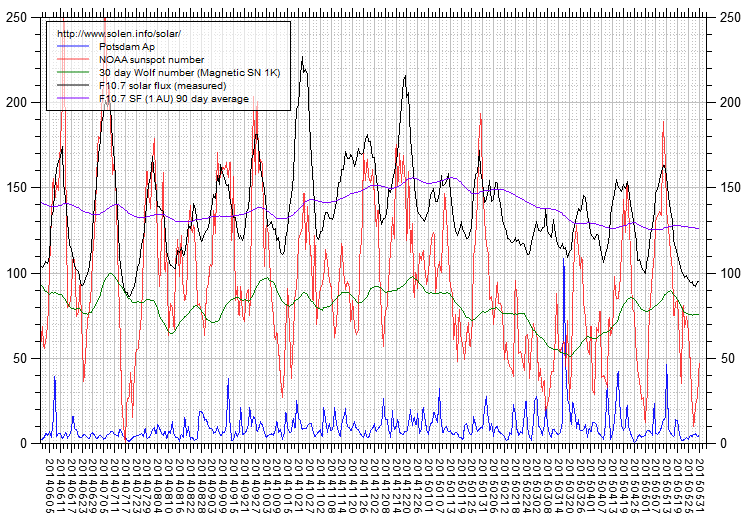 The Potsdam WDC planetary A index was 41 (STAR Ap - based on the mean of three hour interval ap indices: 41.3). 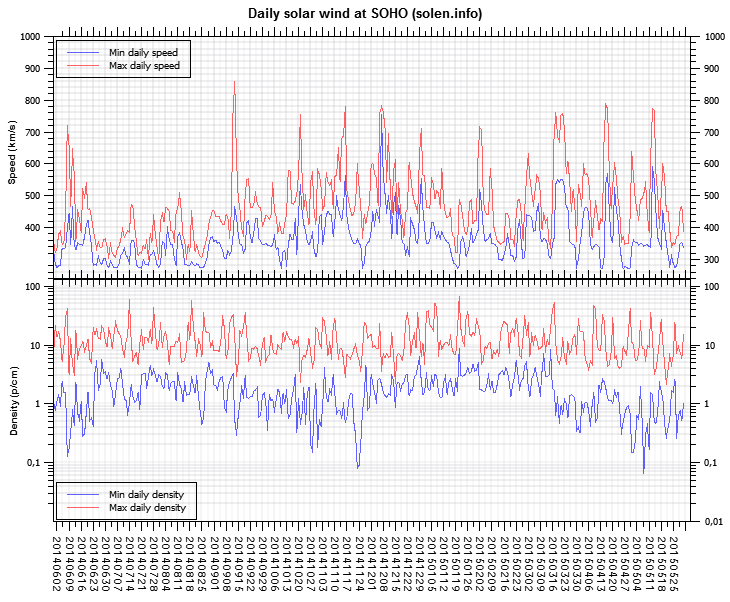 Three hour interval K indices: 56644444 (planetary), 56544433 (Boulder). 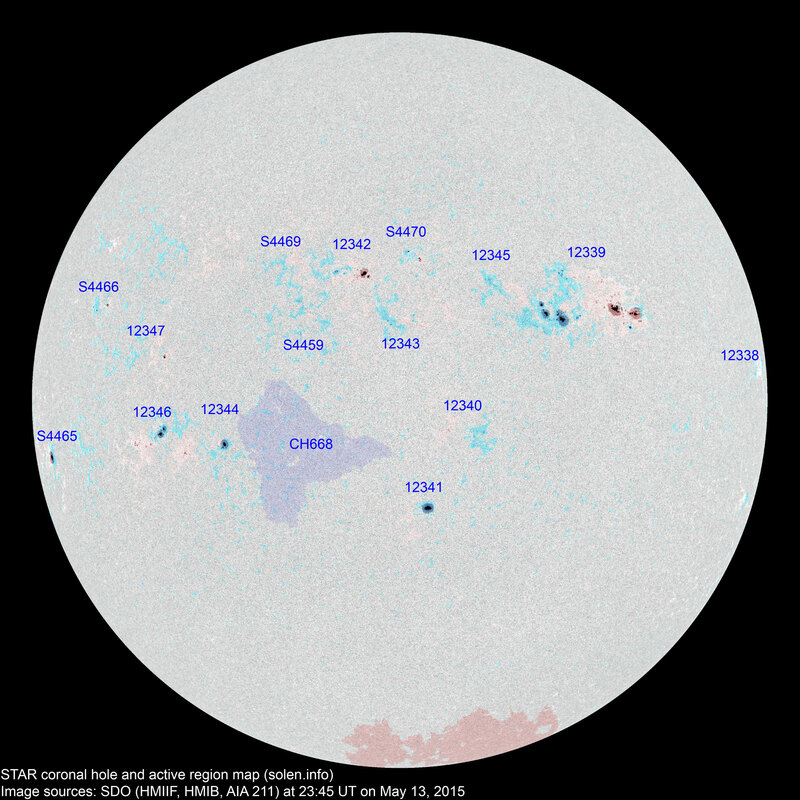 At the time of counting spots (see image time), spots were observed in 15 active regions using 2K resolution (SN: 321) and 13 active regions using 1K resolution (SN: 224) SDO images on the visible solar disk. Region 12338 [N04W78] decayed slowly and quietly. 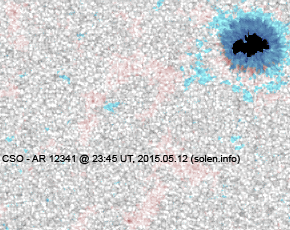 Region 12339 [N11W32] decayed slowly producing low level C flares. 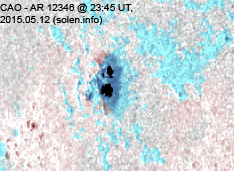 The region could still produce an M class flare. 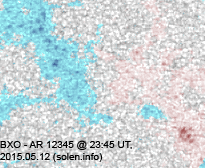 Region 12340 [S08W10] was quiet and stable. 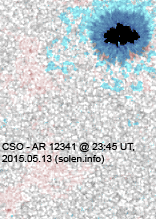 Region 12341 [S20W04] was quiet and stable. Region 12342 [N17E07] lost spots and was mostly quiet. 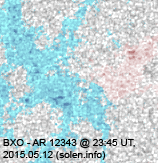 Region 12343 [N09W01] was quiet and stable. 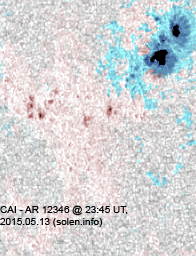 Region 12345 [N15W15] decayed slowly and was the source of the largest flare of the day. 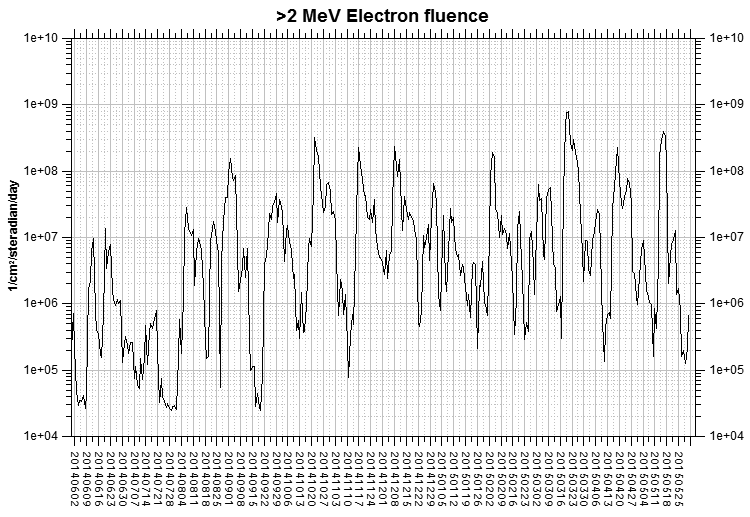 Region 12346 [S08E41] developed slowly and was quiet. 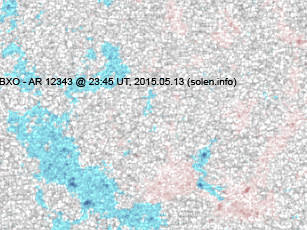 Region 12347 [N05E41] was quiet and stable. S4459 [N11E16] decayed slowly and quietly. S4465 [S10E73] was quiet and stable. S4466 [N13E57] was quiet and stable. 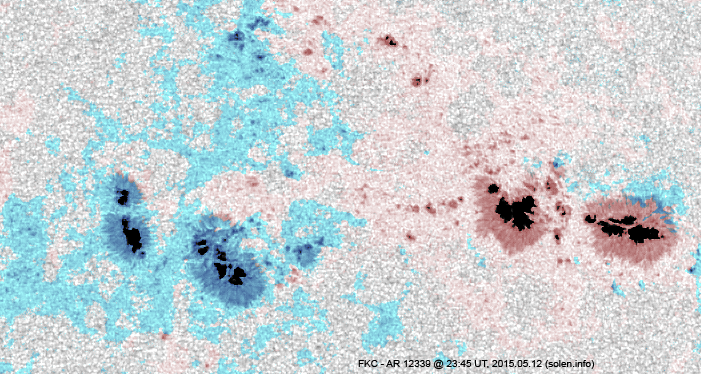 New region S4469 [N16E17] emerged early in the day with a few spots, then decayed slowly. New region S4470 [N20W02] emerged with a few spots. 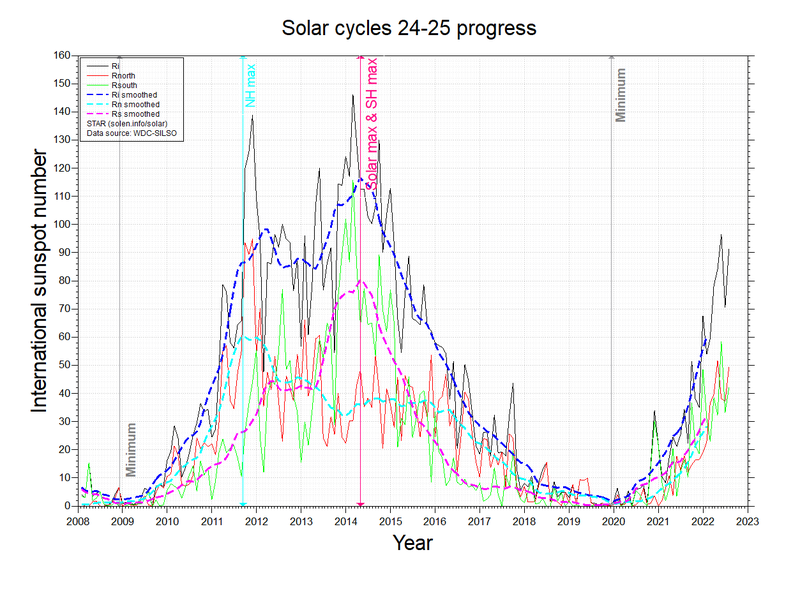 May 11-12: No obviously Earth directed CMEs were observed. 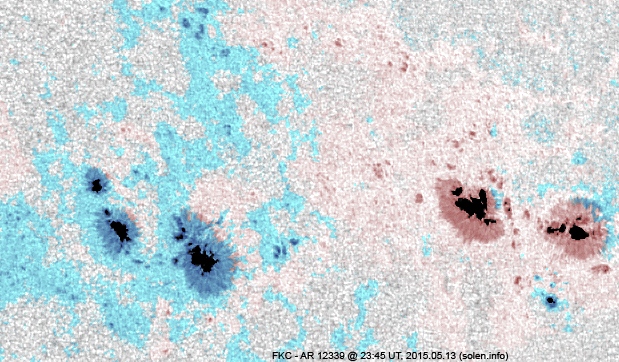 A recurrent extension (CH667) of the southern polar coronal hole rotated across the central meridian on May 8-9 and may be associated with a co-rotating interaction region. 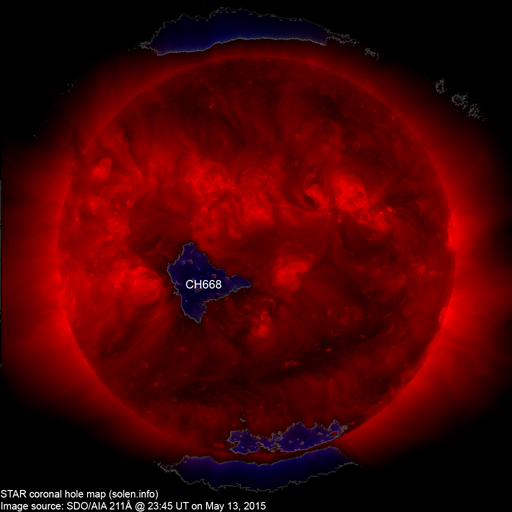 A recurrent southern hemipshere coronal hole (CH668) will rotate into an Earth facing position on May 14-15. 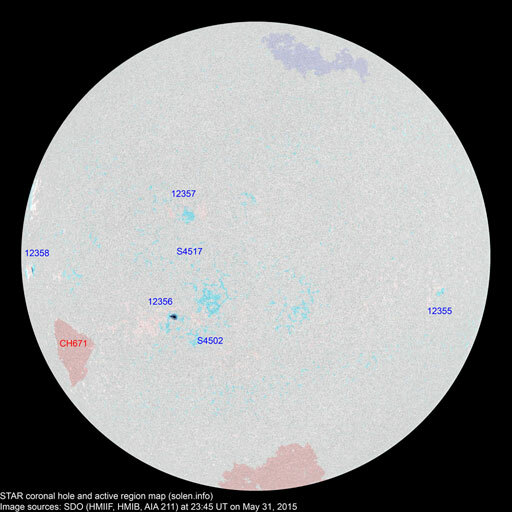 The geomagnetic field is expected to be quiet to active on May 13 due to effects from CH667 and a co-rotating interaction region. 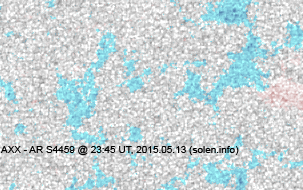 Quiet to unsettled is likely on May 15-16. Late on May 16 and on May 17 there is a chance a CNE could arrive and cause unsettled to minor storm conditions.